Lock in a great price for House Vogiatzi – rated 8.9 by recent guests! Located in the heart of everything! The room has all necessities. Clean and crispy sheets and towels. 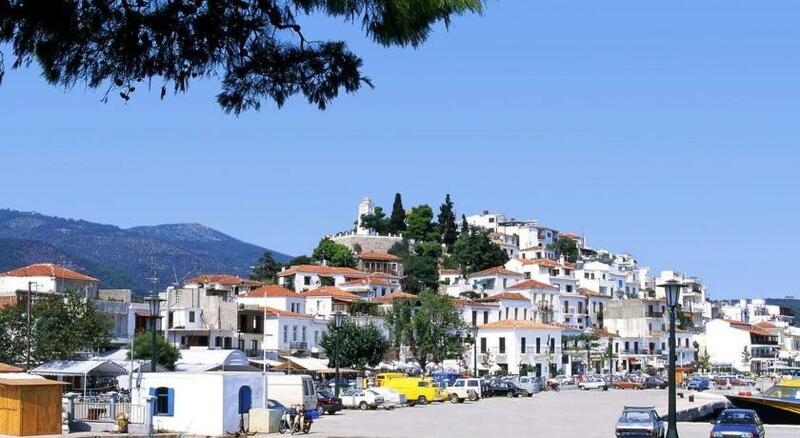 Perfect location, excellent price compared with the rest of hotels in Skyathos. The owner was very attentive and friendly. Don’t expect a fancy room but it has all you may need. I appreciated the cleanliness, the great location and the owner's kindness. He came with the map of Skiathos and gave us precious tips about the city. He also called to check if we Could Find the location. The host, Dimitri, picked me up at the port and helped me with the luggage to the room. He was also very helpful in giving me tips regarding restaurants, bars and beaches. Lage war super. Ich wurde vom Besitzer am Hafen abgeholt und es hat alles pefekt geklappt. L'accoglienza e l'ospitalità del proprietario...difficile trovare persone così. Ogni giorno ci consigliava cosa fare e dove andare. Abbiamo avuto un piccolo problema in camera durante il soggiorno...è bastata una telefona ed in 20 minuti ha risolto!!! Alla partenza, ha portato due doni ai miei bambini. Grande persona! 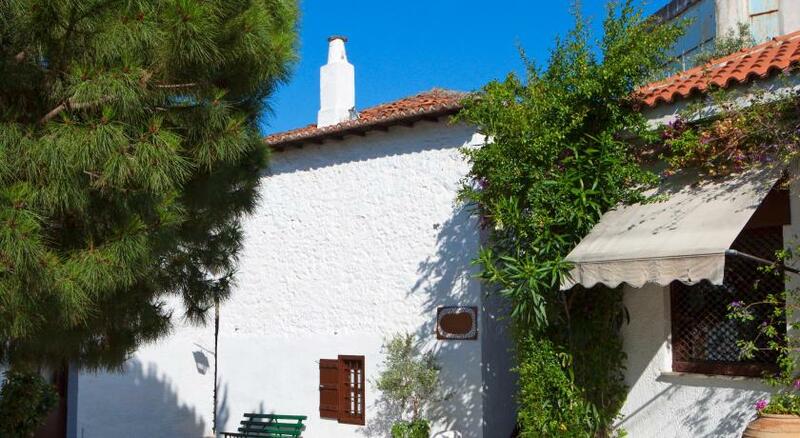 Centrally but quietly located in a backstreet of Skiathos Town, House Vogiatzi is only 100 feet from Papadiamanti Street with several shops and restaurants. It offers simple accommodations with free WiFi. All rooms and apartments open to a furnished small balcony or patio facing the surrounding streets. Each comes with a LED TV, mini fridge and air conditioning. Some units also come with a kitchen. House Vogiatzi is 350 feet from Papadiamantis' House and 350 feet from Skiathos Port. Skiathos Airport is 1.2 mi away. The nearest beach can be reached in a 10-minute walk. When would you like to stay at House Vogiatzi? Air-conditioned room with a furnished patio. It comes with a flat-screen TV, mini fridge and free WiFi. Air-conditioned room with a furnished, small balcony. It comes with a flat-screen TV, mini fridge and free WiFi. Featuring a kitchen with dining table, this air-conditioned apartment opens to a furnished patio. It comes with a flat-screen TV, mini fridge and free WiFi. House Rules House Vogiatzi takes special requests – add in the next step! House Vogiatzi accepts these cards and reserves the right to temporarily hold an amount prior to arrival. The owner was very polite and helpful! He gave me precious tips for my stay and helped me to solve certain problems! Thank you very much! The common room/kitchen could be bettter. The host was really nice and helpful. The first floor quadruple room even though huge is in need of updates and repairs - some switches don't work, but the bathroom was what spoiled the experience the most - the faucet was swinging in all directions, and the drainage in the shower was much slower than one actually needs to take a shower ... Didnt like mosquitoes either.